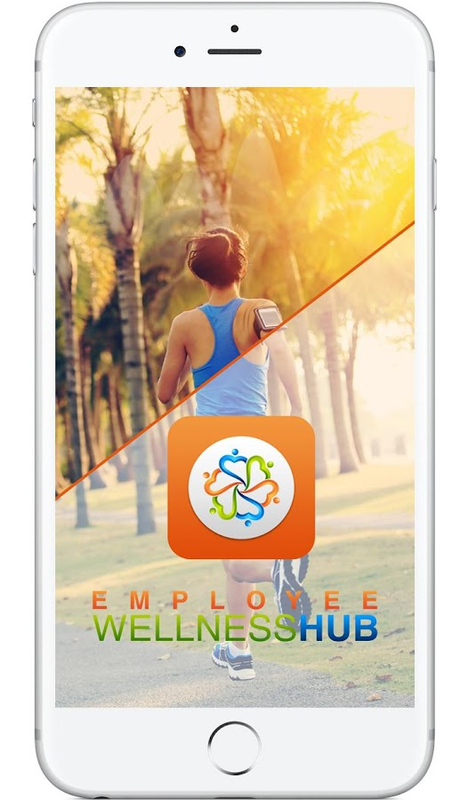 Employee Wellness Hub (EWH) is a health app that allowsorganizations to manage healthy habits for their employees. The appis first of its kind to manage health challenges, track healthvitals, and monitor nutritional intake of their employees. EWH’snutrition database includes information from 8,000+ food items fromthe USDA as well as 5,000+ food items from fast food restaurants.EWH App uses advanced motion chip in the smart phone (whenavailable) to track precise movements (steps) and also integrateswith Fitbit. The app can be customized for employers in terms ofits look and feel and it can be integrated with additional datasources related to fitness and nutrition. Participate in GOQii India Steps Challenge 2019 #AbChalegaIndiaGOQii: Smart Preventive Healthcare for you and your family FamilyCare with Personalized One-on-One Coaching, Doctor Consultation andExpert advice + Activity Tracking + Rewards GOQii (pronounced“go-key”) goes beyond basic activity tracking by giving your andyour family access to professional GOQii Care Team GOQii FamilyCare Family Care encourages you as well as your entire family tomake a sustainable shift towards a healthy lifestyle. GOQii familycare connects, tracks and takes care of entire family’s health withConsults from GOQii Care Team. GOQii Family Care would be managedby GOQii Care Team consisting of GOQii Coach, GOQii Doctors andGOQii Experts. GOQii Personal Coaching Whether your goal is to feelbetter, get healthier, lose weight, sleep better, or break a badhabit, your GOQii coach will help put you on your best path tosuccess. You will get consistent support, motivation and expertisethrough unlimited text chats and scheduled calls through the app.GOQii Doctor GOQii Doctor is a qualified physician who will beavailable on the GOQii platform to provide consultations. This isyour lifestyle Doctor who can give you a basic health consult and2nd opinions. GOQii Expert GOQii Expert is a subject matter expertwho resolve your health concerns. You can ask you and your family’shealth concerns and get answers from health experts. GOQii TrackerGOQii app is designed to work with GOQii Fitness Trackers. Syncyour GOQii HR, GOQii Vital, GOQii Run-GPS, GOQii Stride Trackerwith your Android device wirelessly. Track your Steps, Distance,Heart Rate Monitoring, Exercise Mode, Call/SMS Notification andmore. Centralised GOQii Health Locker You can now keep track ofyour and your family member’s health records in one place that'sorganized and available to them online through the app. You can nowget the lab results, prescription history etc. directly into HealthLocker and use or share it as needed. GOQii Health Risk Assessment(HRA) GOQii provides you with a Health Risk Assessment (HRA)questionnaire to help you better evaluate health risks and qualityof life. The screening assigns you with a health risk score andgenerate a comprehensive report for the GOQii Care Team toevaluate. GOQii Karma GOQii Karma is a philanthropic platformdesigned by GOQii to enable you to help others as you achieve yourgoals. You are rewarded with Karma points that you can use asvirtual currency to make donations towards any of the worthy causeslisted on the GOQii Platform. In lieu of this virtual donation,GOQii’s Karma partners will make a real monetary donation. GOQiiArena GOQii Arena allows you to get influenced and be motivated byfriends in making a lifestyle change for the better and gethealthy. You can connect with new people and spread the word ofhealth and fitness and magnify one’s own fitness and healthquotient. GOQii Health Store - Marketplace for Health Products andServices GOQii’s Health Services Marketplace offers a whole suit ofhealth products and services in partnerships with various healthservice providers. (Currently available only in India) GOQiiRewards With GOQii Rewards, you will get GOQii Cash points whichcan be redeemed for multiple health products/ services. (Currentlyavailable only in India) GOQii Diagnostics You can book lab testsfrom the comfort of your home through the GOQii app and getdiscounts on family health checkups and other lab tests. (Currentlyavailable only in India) GOQii App All the GOQii Services andfeatures are made available to you on GOQii App. Key featuresinclude: Communicate with coach via chat and calls Consult withGOQii Doctor and Expert Manage family health Goal and habittracking Track sleep, steps, active time, distance, Log meals andwater intake Manage your health and fitness data with Health LockerConnect GOQii Tracker, other apps, devices and your phone’s motionsensor And more! In the years of research required to create the more than athousand evidence-based videos on NutritionFacts.org, MichaelGreger, MD, FACLM, has arrived at a list of what he considers themost important foods to include in a healthy daily diet. Yes,greens are good for you, but how much should we try to eat eachday? Dr. Greger’s Daily Dozen details the healthiest foods and howmany servings of each we should try to check off every day. Heexplains his rationale in his book How Not to Die(http://NutritionFacts.org/book). All his proceeds from his books,DVDs, and speaking engagements is all donated tocharity.NutritionFacts.org is a non-commercial, nonprofit,science-based public service provided by Dr. Greger, providing freedaily updates on the latest in nutrition research via bite-sizedvideos. He has nearly a thousand videos on every aspect of healthyeating, with new videos and articles uploaded every day. Like thisapp, everything on the website is both free of ads and free ofcharge.This app was developed thanks to the volunteer efforts ofJohn Slavick.